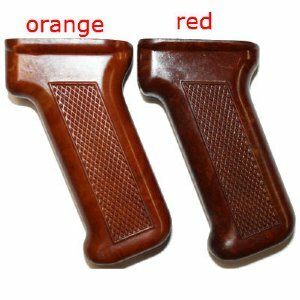 Orange colored polish bakelite pistol grip. Conditions range from surplus very-good to excellent. Product Review: Bought this for my Century arms c39V2, I did not like the plastic one that it comes with. This new grip fits great on my rifle and makes it stand out. I am buying another for a back up. Don''t forget to order the long screw that is sold here. Product Review: I really like this grip and it looks very good on my brown wood C39. 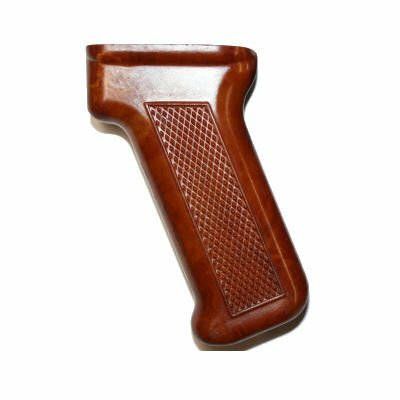 The only complaint that I have is that it leaves a small gap between the rear of the grip and the receiver. So, I ended up just putting the black plastic Polish grip back on. 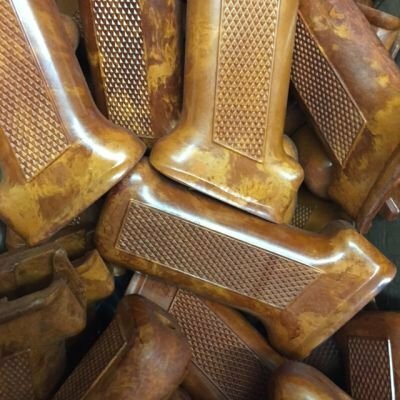 In my opinion, these original grips are very comfortable and allows one to accurately point the weapon without sights for fast point shooting at closer ranges.